How good is your Invasive Species IQ? If you see any of the above BC Boat Inspection Signs, you must pull your Boat and Trailer over for inspection. The new invasive species signs are aimed at increasing awareness and visibility at inspection stations. 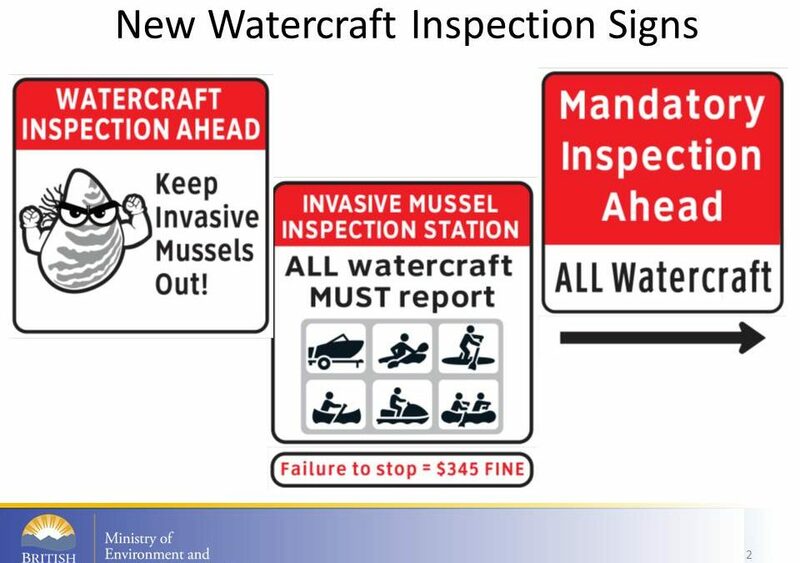 It is MANDATORY for all watercraft to stop (motorized and non-motorized) to stop at signs for inspection. Failing to stop for MANDATORY INSPECTION will result in an immediate fine of $345 and your boat will be confiscated for inspection. Do you know someone travelling with a watercraft (motorized and non-motorized) & trailer? Tell them they must stop at the inspection signs or be fined.